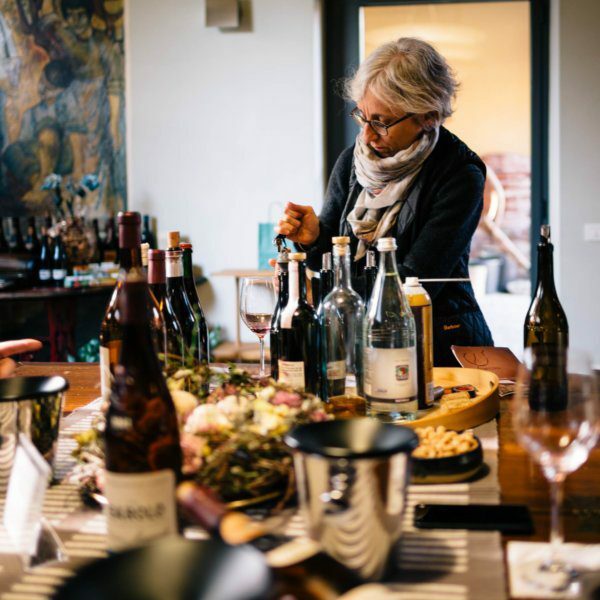 We have always wanted to explore northwestern Italy, so on our most recent trip, we were especially interested in discovering the amazing wineries in Piedmont and its neighboring regions. Our friend Ceri Smith, who owns Biondivino, was the perfect person to show us around. She and Alfio picked us up from our hotel in Milan, and we were on our way. Alfio sat on our laps, trying to look at everyone and find his dog friends along the way, until we reached the highway where he finally laid down and took a nap until we arrived into the countryside of Lombardy. Ceri had told us about a winemaker whose winery was located in a historic castle that sounded magical. Beautiful landscapes, exquisite wines, and genuine people – who doesn’t want to go there? As we approached the castle, we could see it off in the distance on a hill with vineyards draping down the sides of the mountain. Castello di Stefanago is an organic winery and farm located just an hour from the city, near the town of Pavia in Lombardy. Situated atop the Olrepo Pavese hills at an elevation of 300 – 500 meters, the Baruffaldi family lives in a stunning fourteenth century castle. Giacomo Baruffaldi and his wife Patrizia live in the castle, and were gracious enough to invite us into their incredible home. Giacomo and his brother, Antonio, run the family estate. He lives just down the street in another gorgeous home overlooking rolling hills of organic vineyards. As we pulled up to the driveway, Giacomo’s family met us and first showed us around their beer brewing facility. They’ve been using local hops and are currently growing them now on the estate. We also had a chance to visit their adorable new baby donkey and multiple dogs who follow the family around the property. Giacomo drove us up the mountain to the castle and then guided us up the wooden steps to the top of the castle tower to take in the incredible views, which on a clear day extend to the Alps. We headed into the cellar to taste wine directly from the tanks, and finally to the Baruffaldi’s home for a seated tasting of their beautiful wines, accompanied by a massive wedge of Parmigiano Reggiano and freshly made fried schita (similar to a crepe) made with only flour, water, salt, and oil. This was especially incredible with a topping of local prune jam. 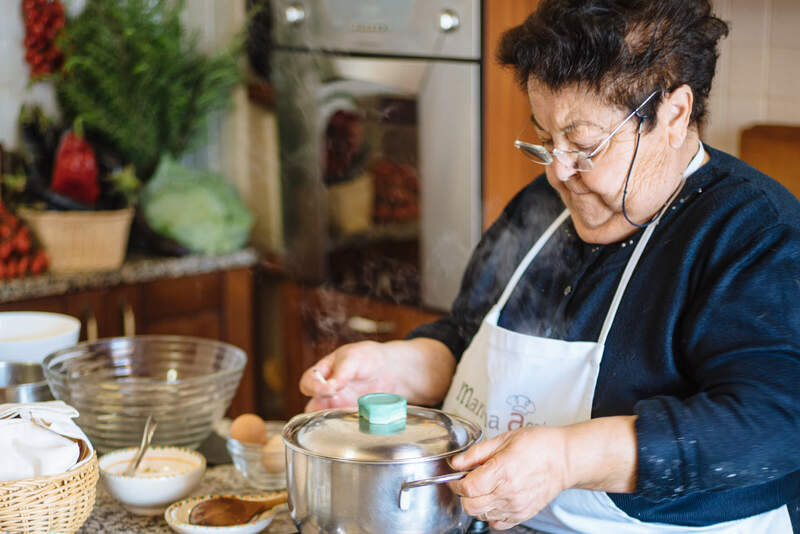 Patrizia was literally making hot, fresh schita as quickly as we could eat them! 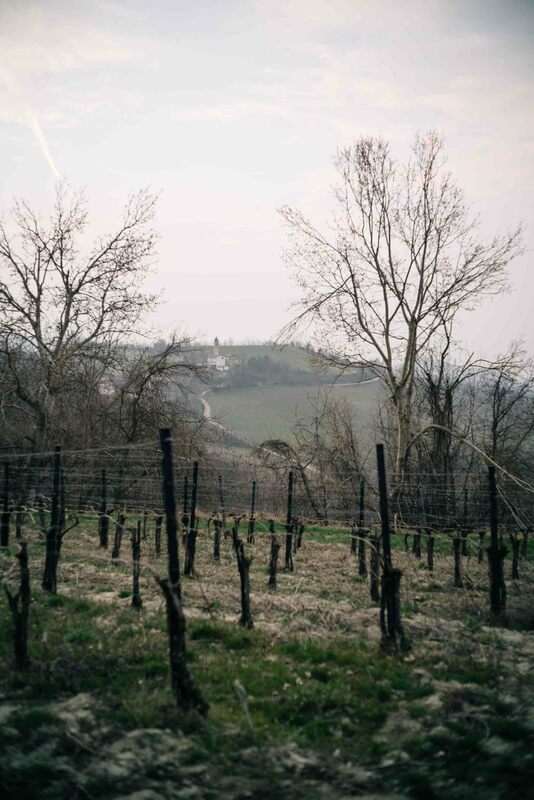 As with all of the wineries we visited on our trip, Baruffaldi wines are made traditionally and naturally, utilizing organic farming methods and minimal intervention in the cellar. Grapes grown on the estate include Riesling Renano, Pinot Grigio, Muller Thurgau, Croatina, Barbera, Cabernet Sauvignon, and Pinot Nero. All of the wines are beautiful, but we were most excited about the Aro, a stunning crisp white wine that we can’t wait to get our hands on when it arrives in the United States. A container had just been picked up the week before our visit, so these wines are now available on the shelves at Biondivino in San Francisco or you can order online here.. If you are in San Francisco, you have a fantastic opportunity to taste all their wines on Friday, July 27, 2018. 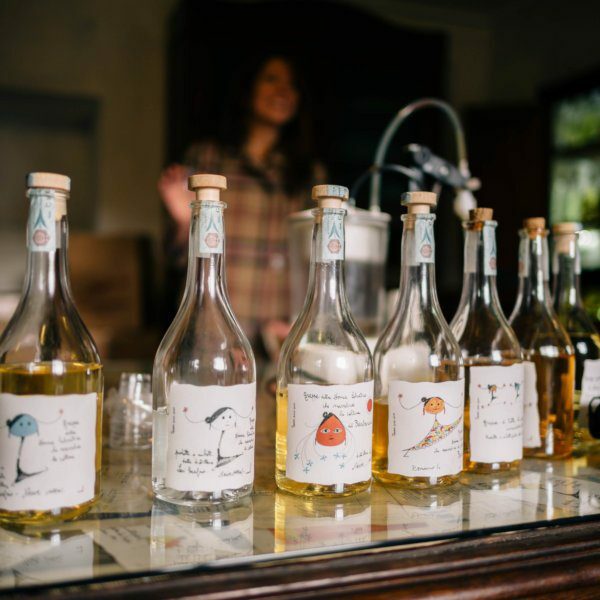 Biondivino is throwing a “secret garden” party featuring wines of Castello di Stefanago. Click here to get more information and buy your tickets. We’ve heard that there are only a few left!